Systec’s Mobil Infeed Conveyor (MIC) is designed for converting machine infeed and can move with the “roll-out” for maintenance and change-out. Systec’s Mobil Infeed Conveyor (MIC) is an all-welded, steel frame construction, using precision laser cut parts for exact fit and function. This is a very low maintenance device applying the most advanced safety designs and features. Can be self-Contained power driven or it can be attached to the converting machine feed table for in/out movement. 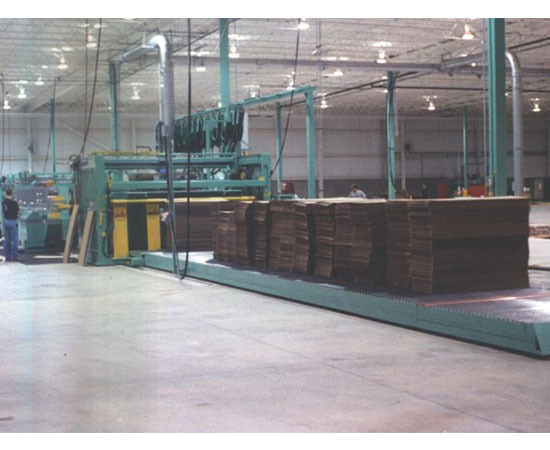 Can be designed for automatic prefeed, or it can be equipped with a lift table for manual operator feed systems. A solid replacement for existing shuttle cars.